Crown Agents, officially known as Crown Agents for Overseas Governments and Administration, occupies a non-descript office block in Surrey, in the suburbs of London. According to its literature, Crown Agents is a not-for-profit, private corporation, which carries out mundane logistical and administrative sub-contract work for the British Overseas Development Administration, and various development agencies and foreign governments. This is typical British understatement, i.e., strategic deception. 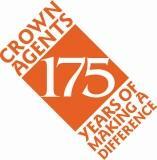 Crown Agents is exactly what its name implies, an agent of Her Majesty the Queen. It was founded in 1833 as Crown Agents for the Colonies, and historically played a vital role in the creation and management of what British historians call the Third Empire. While Lord Palmerston, Cecil Rhodes, Prince Edward Albert (“The Prince of the Isles”), and Lord Milner were providing the geopolitical theory and ideology to justify Britain’s global empire, Crown Agents ran the day-to-day affairs. Crown Agents printed the stamps and banknotes of the colonies; provided technical, engineering, and financial services; served as private bankers to the colonial monetary authorities, government officials, and heads of state; served as arms procurers, quartermasters, and paymasters for the colonial armies. In effect, Crown Agents administered the British Empire, which at one point in the nineteenth century, encompassed over 300 colonies and nominally “independent countries” allied to the British Crown. According to its charter, Crown Agents is an “Emination of the Crown.” This gives Crown Agents a status close to the monarchy, yet outside the official government structures of the United Kingdom. Through much of its existence, it was overseen by the Colonial Secretary and, later, in the so-called post-colonial era, by the Minister of Overseas Development. Although not formally a department of the government, Crown Agents’ entire debt was guaranteed by the Exchequer. In 1996, as the British were in the process of unleashing the dogs of war in Africa, as the cutting edge of its final assault against the nation-state system worldwide, Crown Agents was “privatized,” under the new name, Crown Agents for Overseas Government and Administrations Ltd., with its own board of directors and management. In turn, Crown Agents functions as a holding company for dozens of operating companies and joint ventures. Its shares are held in trust by the Crown Agents Foundation, which is presided over by a board of directors and councillors, bringing together an impressive collection of governmental and non-governmental organizations, corporations, banking and business organizations, and so on (see article which follows) – all from the inner core of the Club of the Isles and the formal Crown apparatus. And, indeed they do. Today, Crown Agents functions as “agents” for over 150 foreign governments and organizations, which they refer to as “principals.” In some instances, they manage vast real estate and financial portfolios, specializing in offshore banking “services.” According to its recent public statements, Crown Agents manages over $3 billion worth of projects. Its asset management business alone, has a portfolio valued at over $1 billion. * Through a joint venture with a Monaco-based company called ES-KO, Crown Agents provides all of the food for United Nations peacekeepers in Angola and Bosnia. ES-KO also provides logistical services to private petroleum and mining companies in such “difficult” areas as Algeria and Colombia, and manages the privatization of the state sector of Ghana. By now, it may have dawned on some readers that Crown Agents’ range of “services” – arms procurement, border controls, offshore banking – also nicely fit the “administrative requirements” of the world’s organized crime cartels. In fact, a careful review of some of the more sordid aspects of the recent history of Crown Agents, suggests that the firm has been at the center of the British Crown’s highly sensitive patronage of global organized crime–what EIR long ago dubbed Dope, Inc.
Crown Agents’ extensive links to international organized crime surfaced in the mid-1970s, when the firm’s over-extended real estate portfolio, particularly its London real estate investments, blew sky high. At the time that the London commercial real estate market collapsed, Crown Agents was managing a portfolio of assets, loans, and other financial paper, totaling more than £4 billion. Despite the fact that Crown Agents held no banking charter, it owned a string of banks all over the world, including some unsavory outfits in some of the most notorious hot-money havens of the Commonwealth. Much of the capital through which Crown Agents built up its real estate portfolio came from Third World governments, which made the unfortunate mistake of placing their trust in the Queen’s favorite service agency. Crown Agents heavily leveraged its investment capital, building up debts far beyond its resources. When the 1973 oil shock hit, and the real estate market was one of the first of the bubbles to pierce, Crown Agents, along with many other institutions that were heavily leveraged in the secondary banking markets, went broke. The Bank of England stepped in to bail out Crown Agents to the tune of several hundred million pounds – more than a decade before the U.S. government would carry out a similar bailout of the savings and loan institutions, ravaged by similar commercial real estate speculation. The collapse of Crown Agents’ real estate portfolio led to three governmental and parliamentary investigations. The surfacing of a wide criminal conspiracy was averted with the timely death of one of the key witnesses, the director of Crown Agents’ money market operations, who purportedly blew his brains out shortly before he was to face trial on charges of corruption. According to news accounts at the time, this fellow, whose signature appeared on many of the most outrageous transactions, happened to be a heavy gambler. He had been a member of Crockfords, an elite gambling club, and two other casinos. He was a fixture at London casinos, often signing £1,000 checks. He had a home in Westminister, one of the most expensive sections of London, a country house, and three cars–all on a middle-level civil servant’s salary of £5,000 a year. Breaking: Mike Pence Exposed in Indiana Pedogate. ( 5,138 )Timothy Holmseth has filed with Minnesota Court.